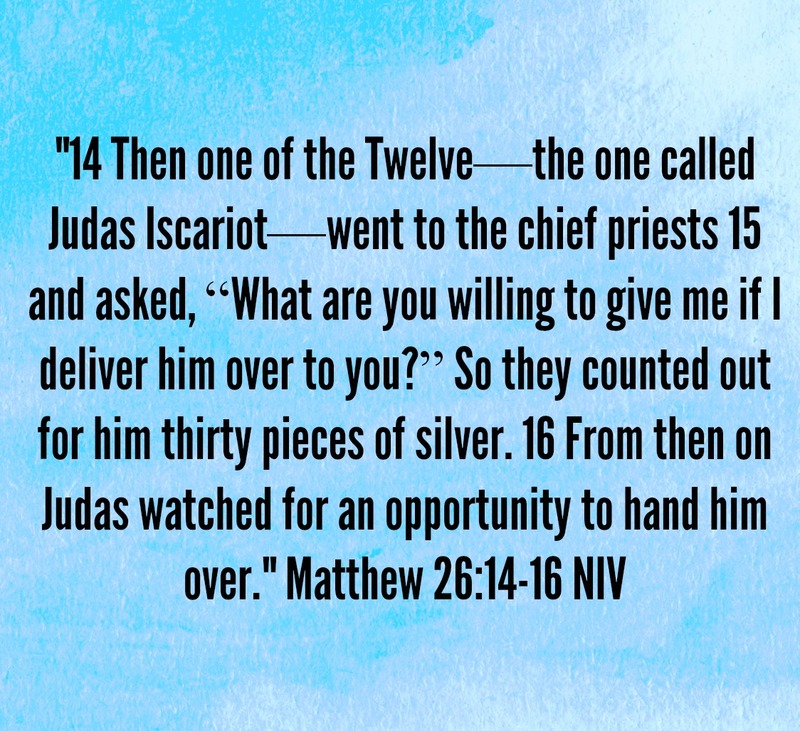 My attention has been focusing on Judas here lately and I couldn’t figure out why until I dug in deeper into his story. I would like to start off with giving us something to think about as we discover more about Judas. We all make choices in our lives, those choices do come with repercussions some good and some bad. And while I am not going to get into a discussion about world politics and leaders, but one does not have to go very far to hear questions and statements made about how their choices don’t seem to be for the good of our country. 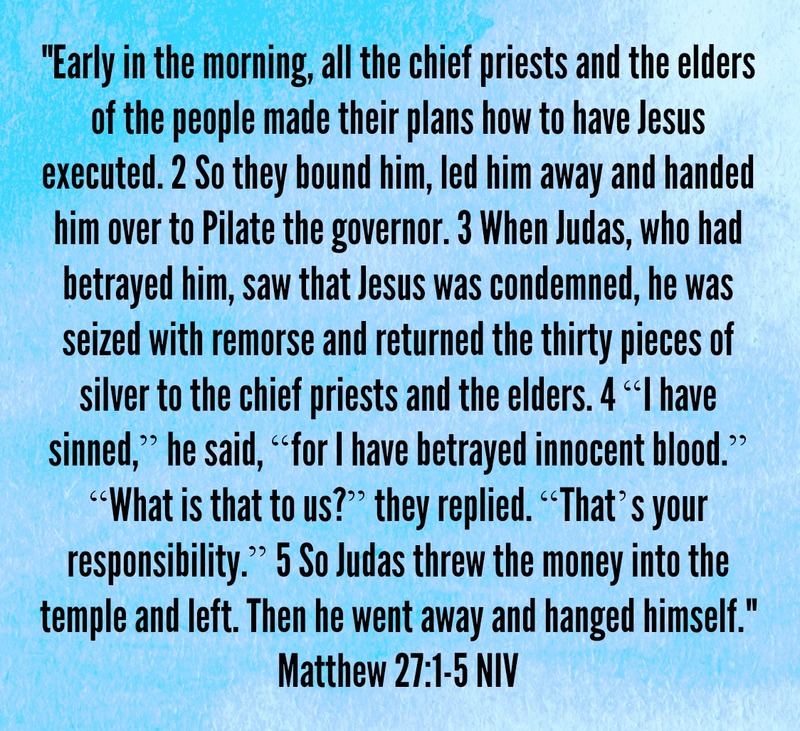 Our choices and the choices made by our government are playing a role in God’s plan, just as Judas and the chief priest along with the elders of the people played their role in God’s plan for our redemption. Judas is not one of the most popular of the twelve, but he played a very important role. Are you ready to discover more? 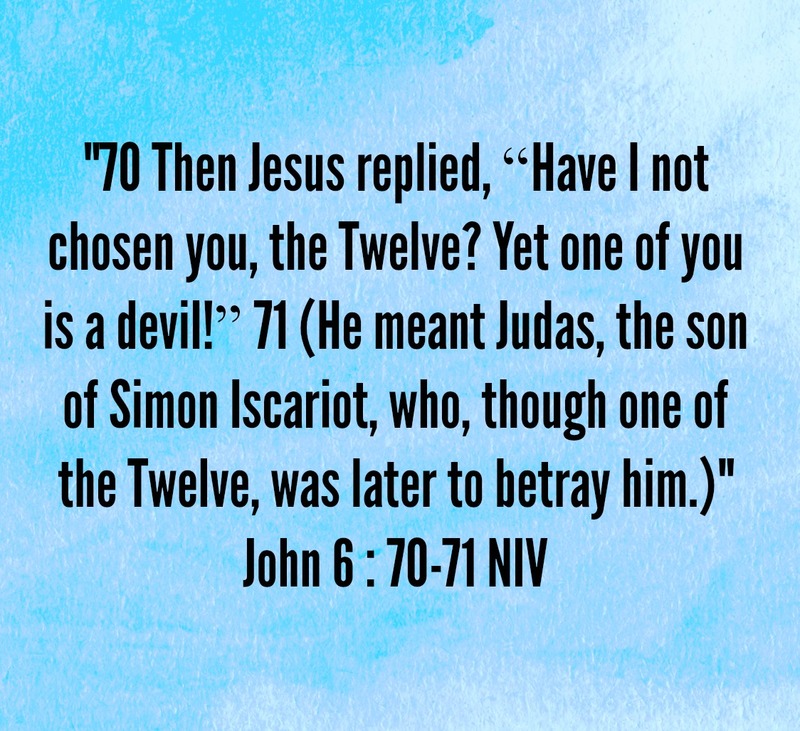 One of the first thing we discover about Judas is he was chosen and known by Jesus. John 13 points out in several verse this truth as well. During their last fellowship together before the cross, Jesus sets an example to His disciples by washing their feet. Throughout this chapter He states on more than one occasion that what He is doing for them is not true for all them. We begin to learn more about his true colors. Jesus was anointed on two separate occasions before Passover and Judas was in among them. When being anointed by Mary(sister of Lazarus and Martha), Judas objects and we soon discover his role and character of the twelve. He was the group’s treasurer and a thief. The next thing we see is Satan working on Judas. Satan sees a window of opportunity and starts playing on Judas’ weakness of greed and love of money. When the second anointing took place at Simon the Leper’s house, Judas we see has had enough. His choice was made and now he waits for his opportunity. But in that period of waiting and watching, we also see Judas taking part in the last supper with Jesus. Here we see one who is convicted by his guilt but plays it off in a bold fashion. At this point, we are told in John that Satan entered Judas. Judas left the last supper and we don’t see him again until Jesus is betrayed by him with a kiss. But after Judas left the supper, Jesus talked on with the remaining eleven. 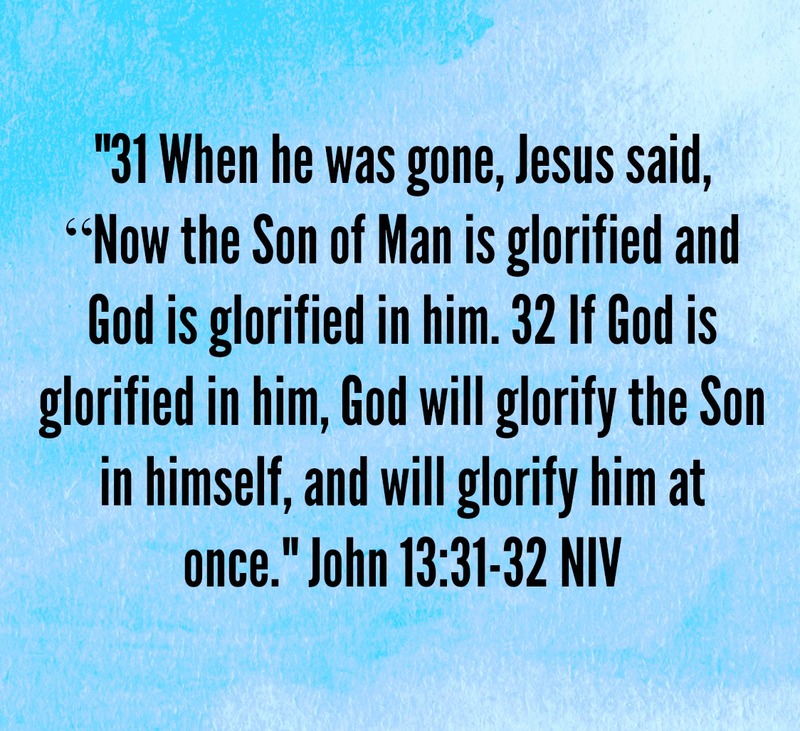 What we can learn from this, Jesus is not saying that Judas has glorified Jesus with his plans but that God’s plan for Jesus was beginning for Jesus to be glorified and that God was going to be glorified by Jesus. 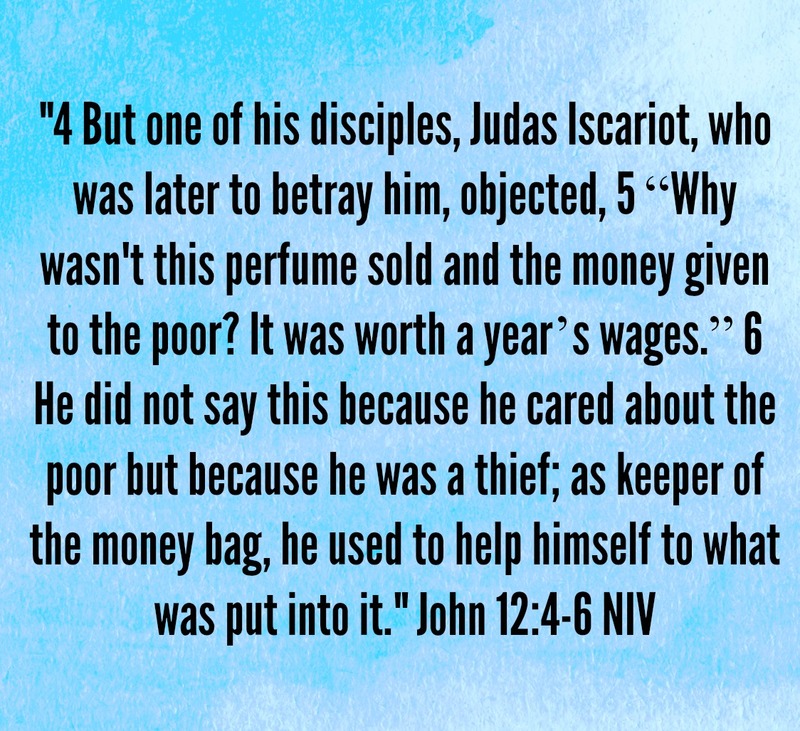 Judas doesn’t realize that his self-serving motives were falling into line with God’s will and plan. 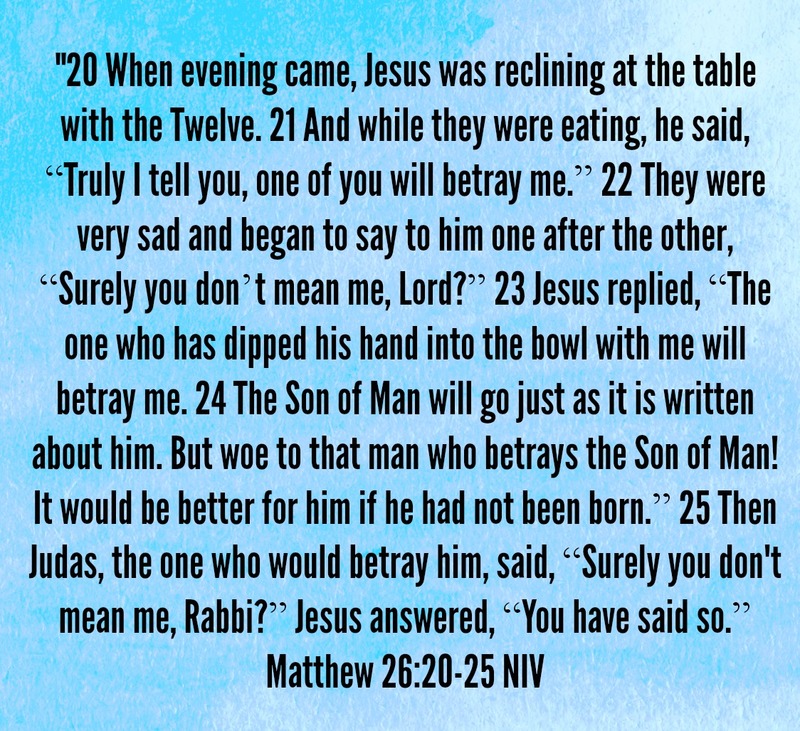 The betrayal was done and Jesus was arrested, but Judas’ story does not end there. When Judas saw that his choices did not turn out the way he had perceived them in his mind. Those choices and ill-gotten gains turned into a noose around his neck. His decision to confess and make retribution of the money was a good choice but who he chose to confess to was another of his blunders. For there was and never will be redemption from the heathen. The end of his story shows us that when we are burdened with our own guilt, don’t put yourself in solitude. By doing so, your guilt will eat at you and destroy you. 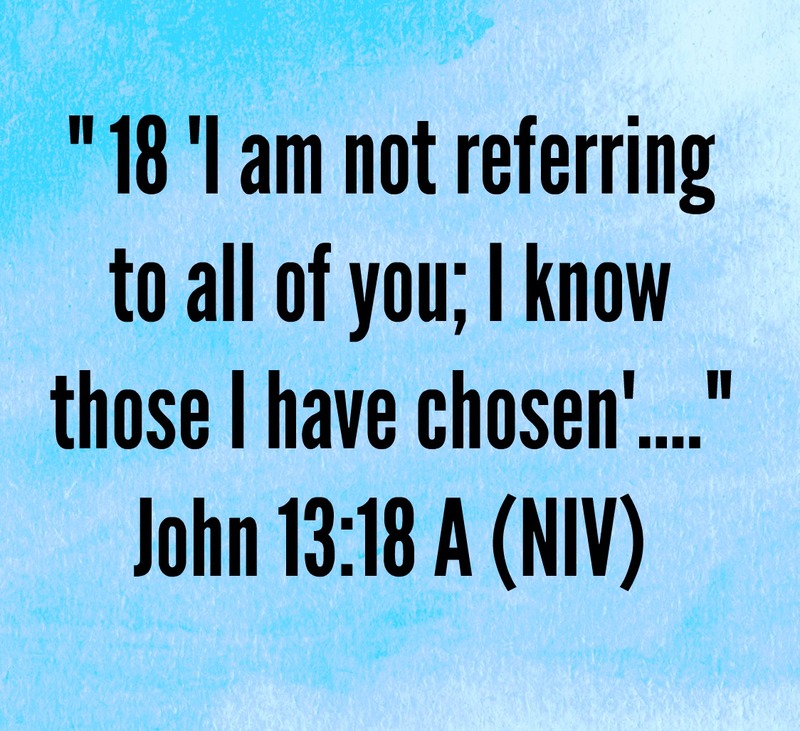 Followers of Christ are chosen and known by God. Satan will try his hardest to tempt us into wrong choices through our weaknesses. When your hand has been caught in the cookie jar by God, heed His warning. God’s will and plan will always prevail. Instead of letting your wrong choices destroy you, confess to God and allow His graces and mercies to cleanse you. In other words, when we truly know whose we are, let go of your own agenda because we can not have our way and God’s way.